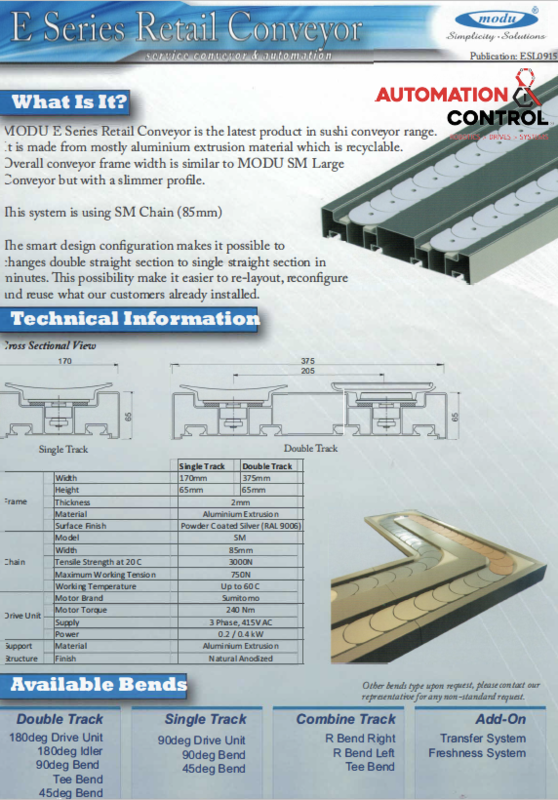 Automation & Control provides the Modu Range of Sushi Conveyors including Slimline, Medium and Large. 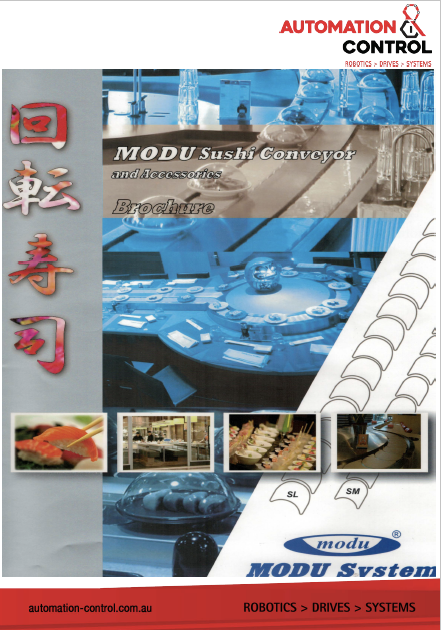 The Modu sushi belt conveyor trains are suitable for use in food environments such as sushi bars, shops and similar outlets. The conveyor train is an overlaid slat type conveyor that enables very tight corners to be achieved so that the maximum amount of space utilisation can be achieved. Mobile Version available, easily transportable. The Sushi Freshness System is a monitoring system that keeps track of the time of all the plates on the conveyor system. Each plate requires a self-adhesive tag to be applied to the bottom. The tag is called a RFID “Radio Frequency Identification.” It has a unique serial number which is read by a receiver module located at the underside of the conveyor system.